So far, we have spoken about how a number of social media networks and channels can help you grow your business and maintain a closer relationship with your customers. In this article we will be looking at how Pinterest can help you engage with users in a visual way and help you get found when they are looking for things to plan or buy. At its heart, Pinterest is a visual discovery tool. It can be used to create virtual scrapbooks (boards) or bookmarks (pins) that allow users to organise and collect anything they find. A user might create boards for their favourite healthy recipes, decorating ideas or places to visit on a holiday. In June 2013, Semiocat reported that the website had approximately 70 million users worldwide. Whilst this is less than the amount of users on other tools like Facebook, it is still a huge potential audience that your business can take advantage of. The tool is very popular in the United States, with a report stating that more than one in five American adults use the service. 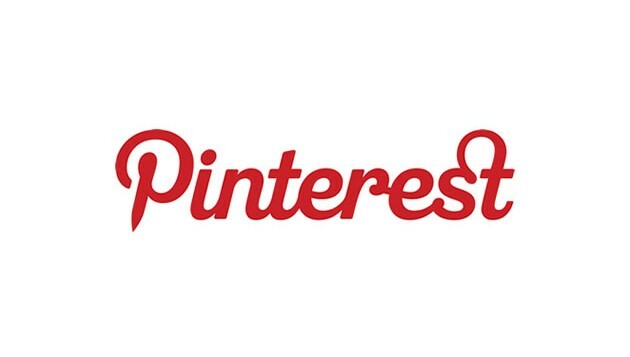 So, how can your business take advantage of Pinterest? Let’s take a look at some brands that are making the most of this unique tool. According to Four Seasons’ global social media marketing manager Felicia Yukich, ‘Pinterest is transforming the way our guests plan their trips, share ideas and select travel destinations.’ The company has over 80 profiles dedicated to its various hotels and resorts, and uses each to promote the various lifestyle elements of their locations and services. As well as providing users with a space for users to interact with the brand, Pinterest also helps drive traffic to their main website. 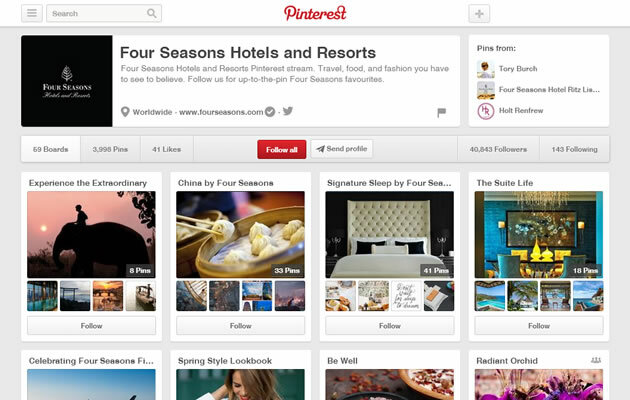 Year on year, Four Seasons has seen a 1700% increase in daily average clicks to its website from Pinterest. The company is also beginning to use Pinterest to help customers create their perfect holiday. ‘Pin.Pack.Go’ is a Pinterest-based concierge service that allows users to create a board of images dedicated to their holiday, and in return they will curate this board and ‘help build your ideal travel itinerary from start to finish.’ It’s an innovative way for a brand to increase awareness of their Pinterest activity, and since launch it has seen a 525% increase in followers to its main account. 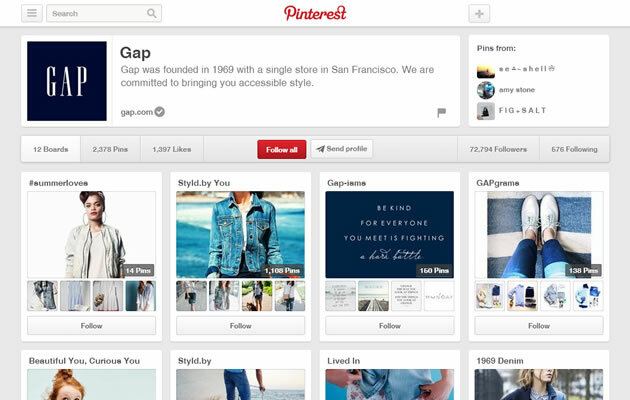 Gap is great example of a fashion retailer that is using Pinterest to its advantage, and using another channel to grow the interest in its brand. An image-led service like Pinterest is perfect for a business that sells physical products, such as a fashion retailer, as it allows you to grow a following via your published content and effectively allows your audience to spread this content for you. The retailer uses a number of boards (‘Styld.by You’ which features customers wearing Gap clothing and ‘Festival Style’ which contains images of hand-picked clothing for festivals) to organise its content. By clearly separating its various types of content (festivals, denim, kids clothing etc) it allows users to pick and choose which content they want to follow. This helps Gap monitor the interest in each board too, via its follower numbers. Including boards that solely feature user-generated content is a great way to encourage interaction, as it proves that a brand is monitoring what their users are doing with their products. 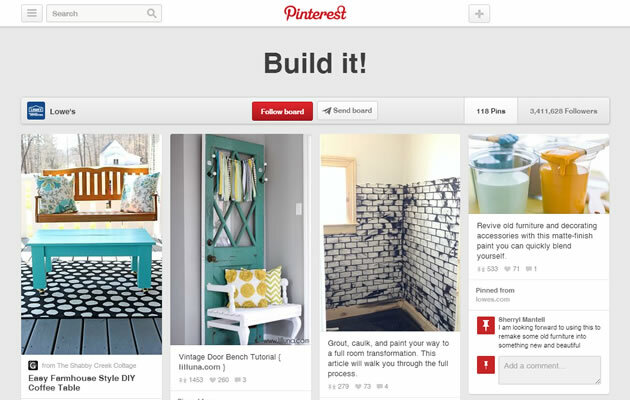 Amongst the most popular categories on Pinterest is home improvement and DIY. Lowes has taken advantage of this and created a huge range of boards ranging from ‘Party Pin-spiration’ to ‘Run of the Grill’. One of the most popular boards, with over 3million followers, is Lowes’ ‘Build it’ board. The board is filled with a number of pins that contain straightforward DIY jobs for your home. Lowes uses data from Pinterest to figure out which pins are most popular, and this dictates future content and campaigns. This information can be used to plan and publish content across other platforms, like their website and email marketing. The Pinterest accounts that we have discussed above are some great examples of brands taking advantage of a relatively new social media tool, and using it as an additional way to interact with customers. It is also another channel that can be used to increase website visits and conversions. What are you waiting for, get pinning!